Note: This post is going to be photo heavy, so let’s hope everything loads correctly. A couple of months ago, I was relaxing on the beautiful beaches of Kauai. The sun kept me warm, and the breeze kept me cool. It was my second time visiting this beautiful place, and even though I had gallivanted around the island before, I still had a wonderful time. We decided it was about time to take time off from work. It had been two years since G last used PTO time, and it was my first real vacation since the opening of Our Paper Place. Let’s just say that it was a smart move because we had the grandest time, ever. 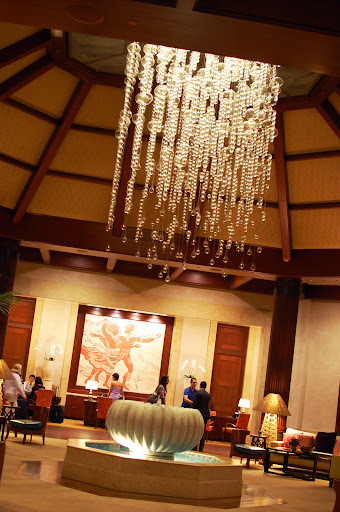 We stayed at the St. Regis in Princeville. 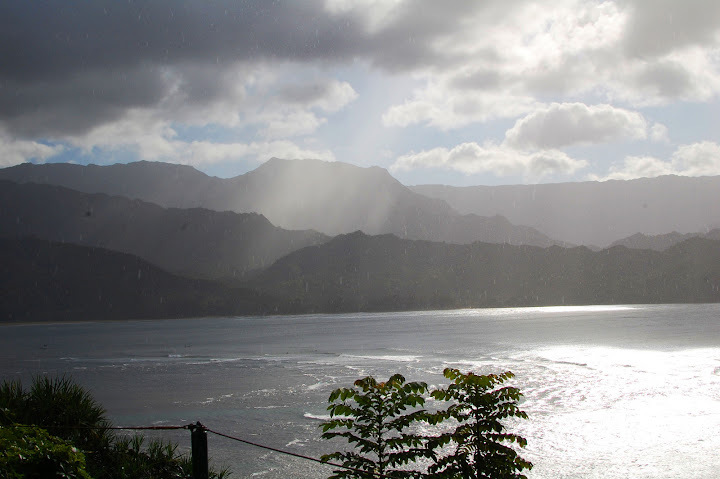 The hotel is nested into one of the Hanalei Bay cliffs, and the views are incredible. If I had to rate this place, I’d give it a 10 out of 5 stars! 😉 The huge suite we stayed in was incredible. 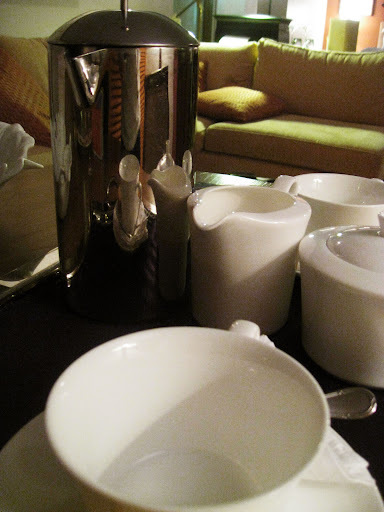 We had our very own butler, who offered to pack/unpack, press our clothes, set up my bubble bath right when I got to the lobby, bring up French pressed coffee every morning, turn down my bed, etc. It’s seriously like the movies; they’ll do whatever you ask them to. Free water bottles, beach bags, snorkel gear, and towels whenever you need them if you’re a SPG platinum guest! The amenities to this place when you are a platinum member are endless. The glass bubbles in the lobby creates such an amazing atmosphere, and they always have fresh tropical flowers for everyone to enjoy. I love how the tropical rain clouds were right over the bay when that picture was taken. So beautiful and serene! …but you know what makes this view even better?! Drinking French pressed coffee with fine china. 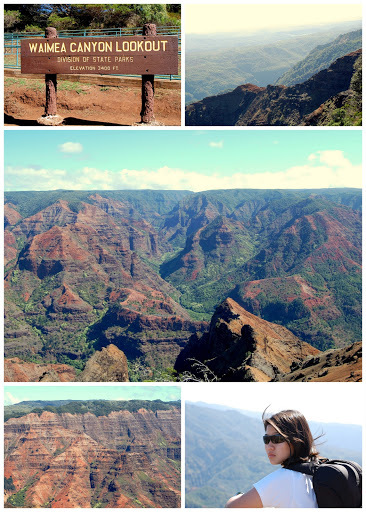 We drove up to the top to see Waimea Canyon. It’s incredible to me that there’s a canyon on the smallest Hawaiian island. Just being up on top makes you feel so small. After the lookout, we drove a few more miles along the road, and came to one of the prettiest sites I have ever seen. The view is breathtaking. The water was so clear and so blue. The fact that we could see the reef from that high up shows how clean and pristine the waters of Hawaii are. The fact that it was creaking made me nervous. G spent forever telling me how safe it was, and I spent forever telling her that this is how most scary movies start out. LOL! 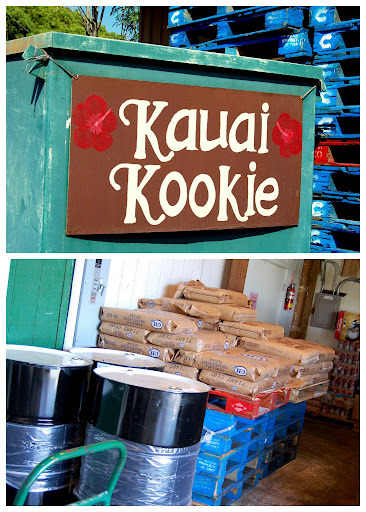 We made a quick stop at the Kauai Kookie factory. Yum! They sell these bad boys all over the Hawaiian islands, so it was nice to see their headquarters. 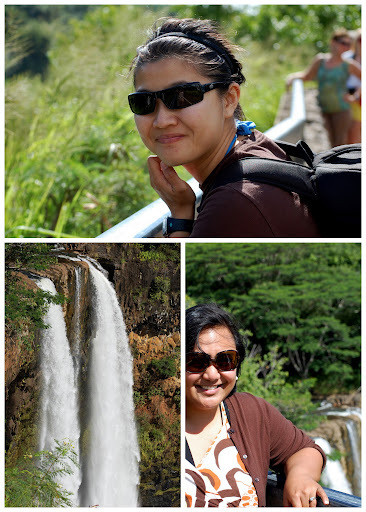 …and coffee addicts can’t pass up visiting Kauai Coffee Company’s coffee plantation. 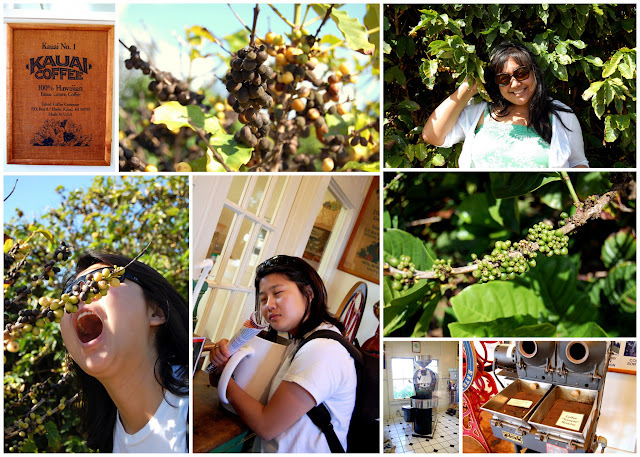 We meandered on the plantation, and had a great time throwing up roasted coffee beans up into the air. We must have looked like a bunch of coffee-crazed lunatics while doing so, but who cares?! It was so much fun! After having sampled a variety of blends, we had the energy to go shopping and get dinner in Poipu. Second day on the island was just as amazing. 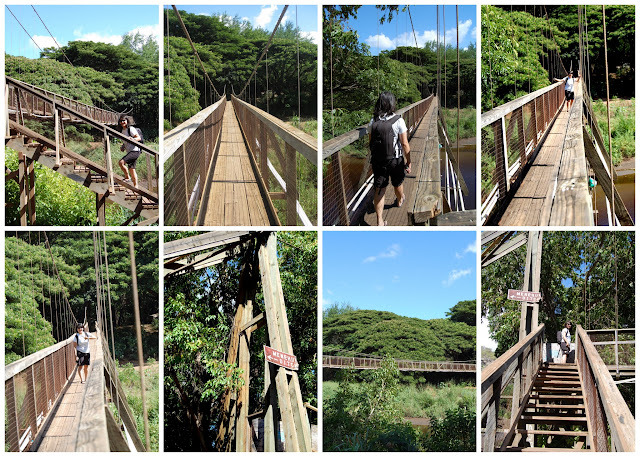 We started off by checking out some of the accessible waterfalls. 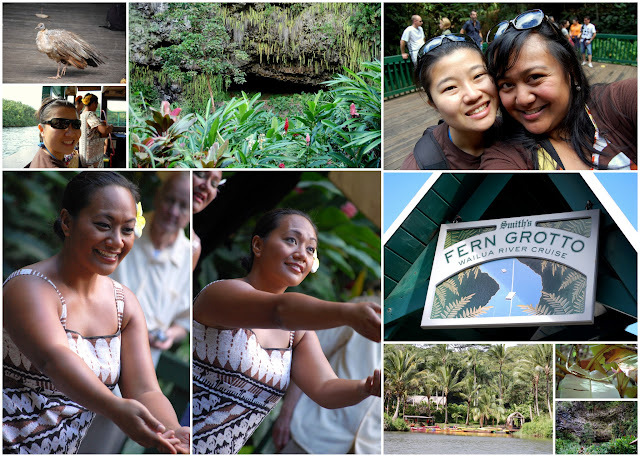 Then, we went on short cruise down the Wailua River to check out the fern grotto. It was nice to see the rural banks of the river, and I most thoroughly enjoyed the hula performances. It was definitely a relaxing excursion. Afterwards, it was time to hit the beach! 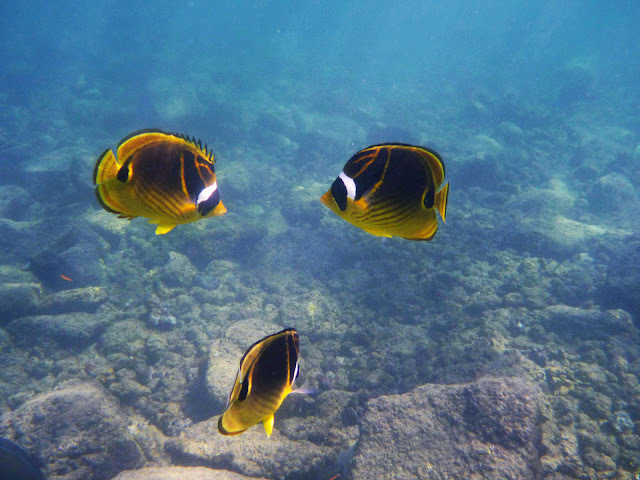 …and what better to do at the beach than snorkel. Snorkel time, baby! I am so fond of snorkeling. It makes me feel like I’m a part of the ocean when I swim with all of the critters in the water. 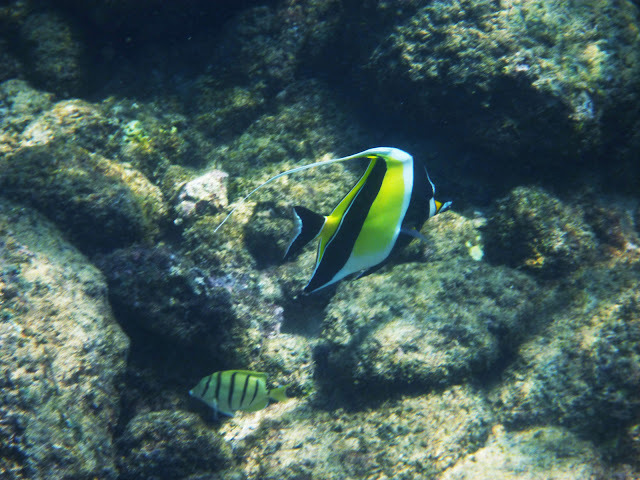 With our underwater camera, we got some fun photos of a couple of the tropical fish. After snorkeling for a few hours and lying out on the beach to tan, we went to see the Spouting Horn further East. 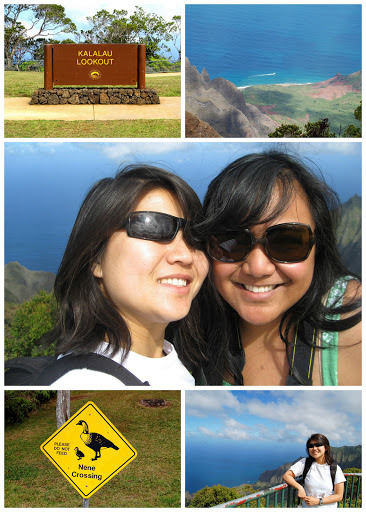 I remember it spouting more aggressively last time I was in Kauai, but it was just as cool to see it again. …and after a long Day Two, it was time to head back up to the hotel. …but on the way up, we got distracted and stopped at a local beach to shoot random photos before we headed off to dinner. …will have to wait for now. Look back for tons of other photos very soon! what a fun vacay! love your photos. 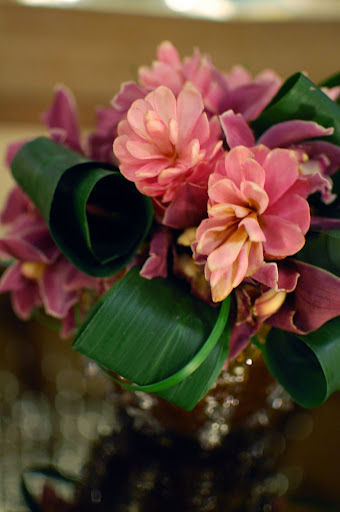 Beautiful photos, thank you for sharing. Looks like you guys had an awesome time on vacation. Hello my friend..it’s been way to long since I visited you!! Hope all is well with you! You still make the most gorgeous art Sarah!! And you look so beautiful and happy! Have to come back soon for more gorgeous pics!! looks fun! i look forward to seeing the rest of your photos! So pretty! Looks like a lot of fun! Looks like so much fun. So jealous!! Love it!!! 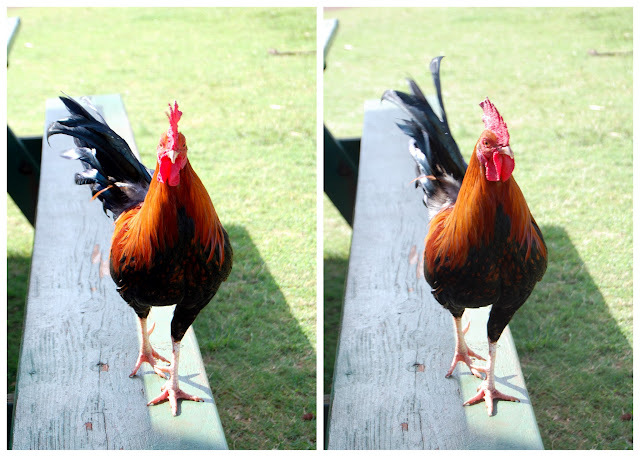 We’ve been to Kauai & there are lots of roosters there! What is up with that?! Thanks for sharing! Did you bring us back any coffee??!! 🙂 SO glad you had a great time.